Though most Western depictions of World War II focus on soldiers rescuing helpless victims from German oppression, the truth is very different. The human species doesn’t take kindly to genocide or oppression, and the Jews are no exception. 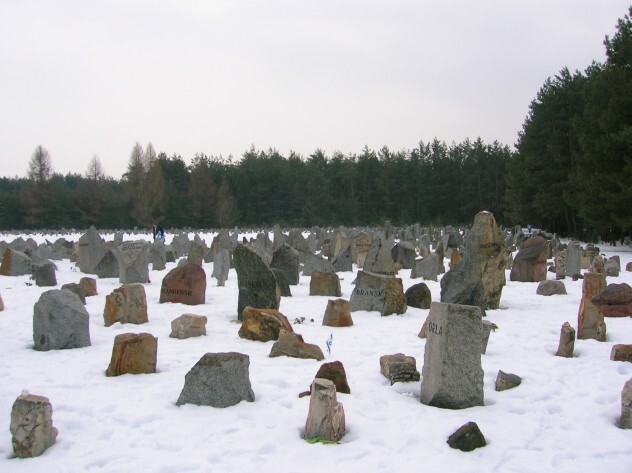 About 800,000 to one million people were murdered at Treblinka Death Camp from July 23, 1942 to October 19, 1943 in Eastern Poland; 90 percent of all prisoners were murdered within two hours of arrival. The bodies were then taken by Sonderkommandos to the open cremation pit on a hilltop. The pit had iron rails laced in layers within it like grillwork, on which the bodies were incinerated. Jews were periodically forced to enter the pit and sift through the ashes for any bones that needed to be ground. The SS had been of the opinion that the Jews would be too underfed and overworked to cause a serious problem. They were wrong. On August 2, 1943, the prisoners fought back. About half of the 1,500 inmates allowed to live in the camp invaded the camp armory after three Jews walked up to the two guards at the rear door and stabbed them with their own knives before they could sound an alarm, whereupon the Jews stole small arms from the armory and opened fire on the SS guards throughout Camp II. The prisoners seized kerosene stores and set fire to every building while the guards and watchtowers began shooting back. The Jews broke into Camp I and armed some of its inmates, and then about 600 men and women broke through the outer perimeter and ran for their lives into the woods. All but about 40 of these were recaptured within a week and executed. Those 40 survived the war. During the Holocaust, the average population density inside the ghettos across Europe was about seven people to a single room, and up to 30 percent of a city’s residents crammed into three percent of its area. The rest of a city was given over to Nazi party members, German troops, and the few gentile civilians deemed non-threatening. These were the living conditions of the Lenin Ghetto, near Pinsk, in Brest Province in southern Belarus. There were a few thousand Jews in the ghetto until August 14, 1942, when the SS entered and murdered almost every single human being, including infants. Thirty people were spared to work in the ghetto as tailors and woodwrights, and they were guarded by an SS garrison of 100, plus 30 Aryan Belarusian policemen who also hated the Jews. On 12 September 1942, the town was assaulted from the northeast by about 150 partisan soldiers, including the famous Bielski brothers, who killed thirty SS officers, soldiers, and police. They then broke through the wall, evacuated the 30 Jews remaining, and burned the ghetto to the ground before retreating into the surrounding woodland. Today, Zdzieciol is called Dzyatlava, just over the Polish border in Belarus. It was a small town of about 6,000 during WWII. The Nazis occupied it on June 30, 1941, and established the ghetto on February 22 of the next year. On July 23, 1941, all of the most respected, well-educated citizens of the town were assembled in the main square and were arrested without being charged with any crimes. The SS Einsatzkommandos took them away in trucks and told the citizens watching that they would be put to work in labor camps. Instead, they were all shot in a forest a few miles outside of town. Once the ghetto was set up, eight people were forced to share living space in a single room without furniture except for collapsible cots. Anyone found smuggling food in from the city was immediately shot. 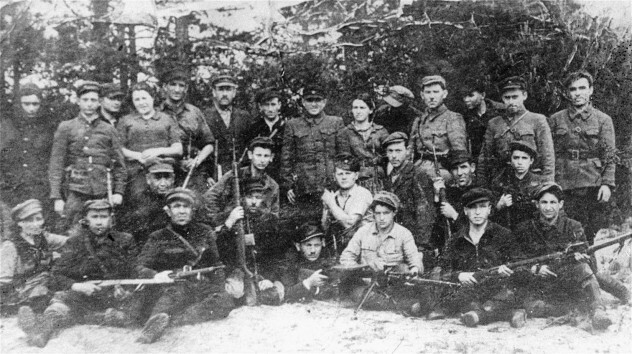 Alter Dvoretsky, a local lawyer, organized a resistance group of about 60 people, who acquired guns and ammunition, and prepared to arm the ghetto residents in the event that it would be liquidated. These Partisan rebels cooperated with the Soviet Red Army in ambushing German patrols and stealing all weapon and food supplies from two dozen supply depots. The SS decided that this activity was a result of ghetto residents escaping: They liquidated the ghetto on April 30, 1942, and again on August 6. In the first incident, 1,200 of the most able-bodied Jews were marched out of the city and shot, then thrown into mass graves. 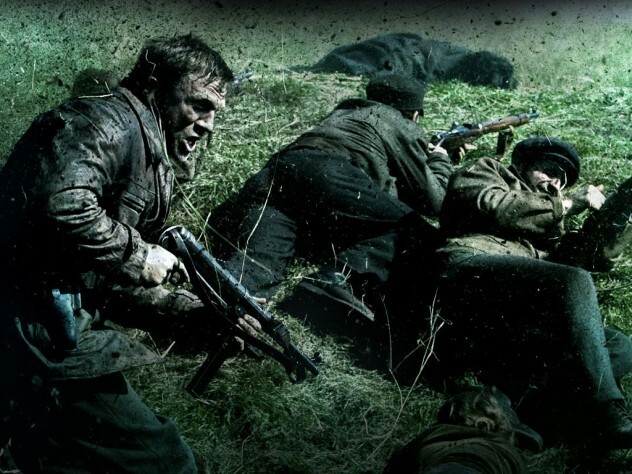 The second incident resulted in 2,000 to 3,000 being shot, but the Partisans were able to fight on and remain hidden in the forests for the rest of the war. Czestochowa is a fairly large city in southern Poland and was one of the first cities to fall to the Germans after the Polish Army was defeated. Germany annexed it on September 3, 1939, two days after beginning WWII. The next day, the Wehrmacht, not the Waffen SS, committed one of their very few war crimes when they fired on unarmed civilians in two separate areas of the city, killing almost 600 men, women, and children. Soldiers who were involved have stated that this was not done because the victims were Jewish, but because the 42nd and 97th Wehrmacht Regiments were nervous and inexperienced. Many of the victims were non-Jewish. On April 9, 1941, the ghetto was completed and 95 percent of the city’s Jews were forced in—about 45,000 total. The SS had taken over control of the city. 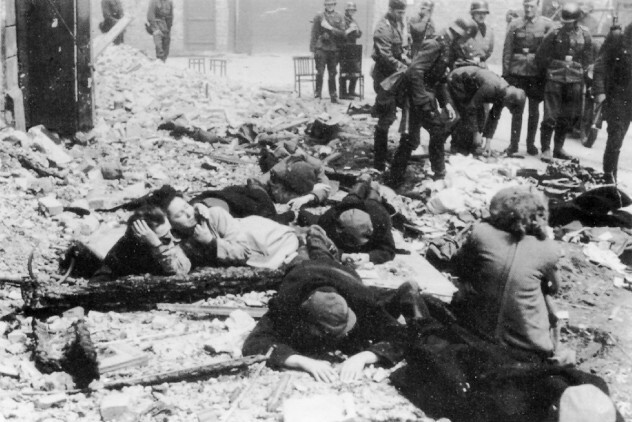 On June 26, 1943, in the face of weekly deportations to Treblinka death camp and a supposed imminent liquidation, the 5,000 or so Jews inside the ghetto staged an urban firefight primarily along Nadrzeczna Street, where they took cover in makeshift bunkers and street-level basements. They were very poorly armed, with only one gun for every four people, and a few hundred Molotov cocktails, but those who weren’t armed at the outset hoped that they could strip weapons from dead Germans. They did so, and lasted an amazing five days, but the SS had no real difficulty in quelling them. Their leader, Mordechai Zylberberg, shot himself just before the SS stormed into his bunker. Around 1,500 Jews died fighting, 500 were executed immediately afterward (many of them by flamethrowers), and some 3,800 to 4,000 who had been unable to arm themselves were captured and shipped to various labor camps. Sobibor was one of the first death camps set up with the determined and large-scale purpose of murdering almost every Jew who was sent to it. The Nazis made the mistake of transporting hundreds of Soviet POWs to the camp for labor. Those who were Jewish were executed, but few precautions were taken because according to Nazi ideology the Soviets were subhuman and incapable of fighting back. However, these POWs were experienced, battle-hardened soldiers—and one of them, Alexander Pechersky, could not bring himself to tolerate this wholesale slaughter. He was Jewish but fortunate not to look so, and after one month of incarceration in the camp he joined a covert resistance effort led by Leon Feldhendler with the goal of a successful escape. Two months later, the Sobibor prisoners sprang their plan. Pechersky and Feldhendler were among the very few prisoners involved in the uprising who had any experience killing other people. They lured guards and SS officers around the rear of one of the barracks or into a machine shop and stabbed, garrotted, or bludgeoned them to death. Each dead guard offered a uniform and weapons to another prisoner. They intended to kill every single guard and officer in the camp and then simply walk out through the main gate, but an errant guard spotted them and sounded the alarm. Half the prisoners made it out of the camp and into the woods, where more died by stepping on landmines. Some 50 managed to evade recapture by hiding in barns, haystacks, drain pipes, and farmhouses. The local non-Jewish Poles risked their own lives by stowing them away in crawlspaces. Now famous via the 2009 film Defiance, the Bielski Partisans were led by four Jewish brothers: Alexander, Tuvia, Asael, and Aron Bielski. 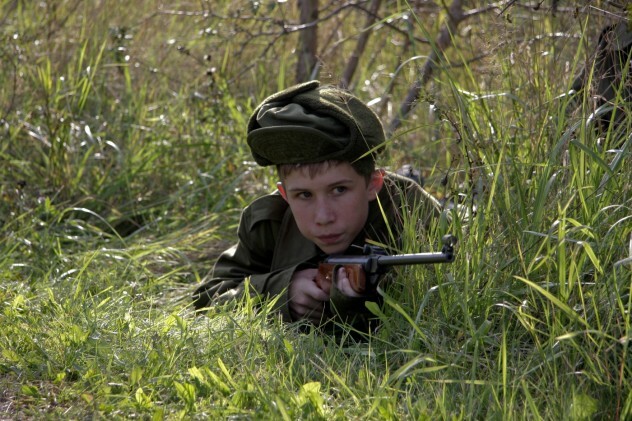 They organized a resistance group of 17 total after the liquidation of the Stankiewicz Ghetto in modern-day Belarus. In August 1941, the Bielskis’ parents, sisters, and the rest of their entire family were murdered. The brothers escaped into the thick forests nearby. The SS continued separating people from their families, causing survivors to flee into the woods, where they found the Bielskis, who welcomed all Jewish refugees. 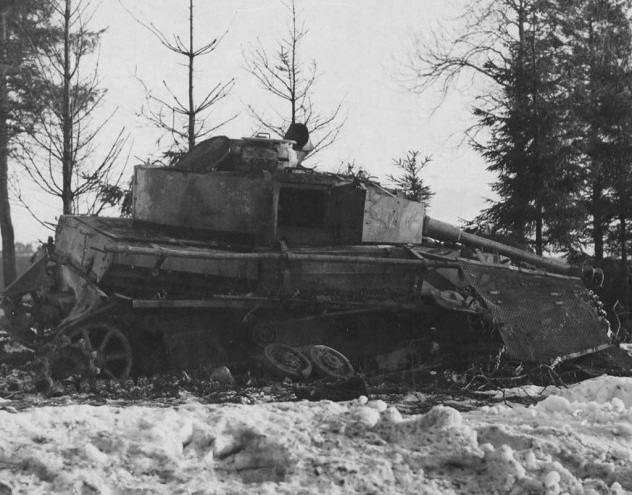 They even began making night-time forays into towns and farms for food and ambushing German patrols for arms. Their membership swelled to 1,236 by the war’s end. Their mission of upsetting the Nazi war effort as much as they could succeeded well enough that by 1943, the SS placed a 100,000 Reichsmark bounty of Tuvia Bielski’s head. By late 1943, the Soviets had reached the area and the partisans joined them. They claimed to have killed 381 Nazis or Wehrmacht soldiers by 1944. The Nazis installed a camp in Syrets, the western suburb of Kiev, in June 1942. It was one of the first built so far east of Germany or Poland, and its purpose was to force its Jewish prisoners to clean up all evidence of the Babi Yar massacre. There were about 3,000 Jewish prisoners in the camp at any time, and they were forced to bury or burn the naked bodies of their own family members in large pits. Fifteen people starved to death per day—25,000 died in the camp by the time the Nazis dismantled it over a year later. The ashes of the massacre victims were scattered on fallow fields across the area, and the prisoners were forced to live in shallow dugouts without beds. Anyone who refused to carry out the grave detail was immediately murdered by gunshot or mobile gas truck. Commandant Otto Radomski even had some prisoners skinned in front of the other Jews to terrify them. This continued until September 29, 1943, when the 326 prisoners managed to pick the locks of their chains with keys they had scavenged from the dead. The prisoners were so ill-treated that they were suffering from scabies and aggressive necrosis all over their bodies, but still found the strength to wrestle their SS guards to the ground and stab them to death, gouge their eyes out, and strangle them with their bare-hands. Fifteen Jews escaped into the woods and survived to testify against Paul Blobel, the perpetrator of the Babi Yar massacre. The rest were executed. 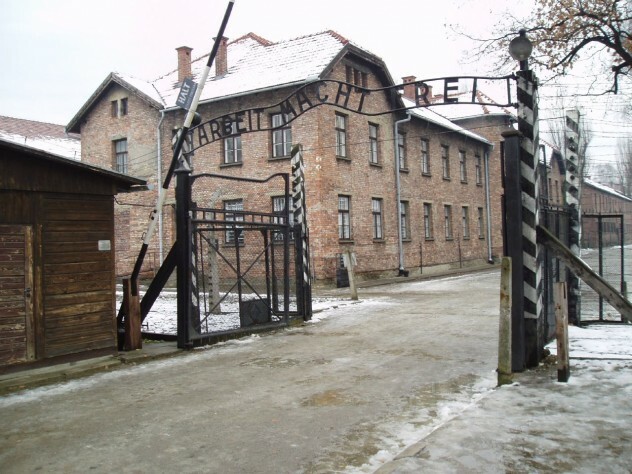 Auschwitz was the largest and most infamous of the Nazis’ concentration camps. It became operational on May 20, 1940 and remained so until January 27, 1945, when the Soviets liberated it. Over one million people were murdered in the three camps, about 90 percent of them Jewish. 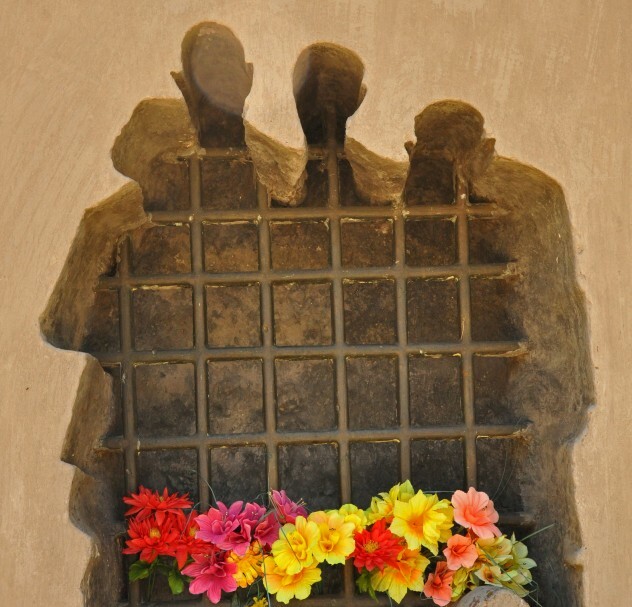 “Sonderkommando” was a special unite comprised of Jewish prisoners selected at random upon arrival at the camp. They were tasked with policing the corpses, clothing, and valuables to and from the gas chambers and crematoria, and though their job was horrible, they were rewarded with more food and better working conditions. On the morning of October 7, the Sonderkommandos suddenly attacked every single SS guard in and around the gas chambers and crematoria. There were two gas chambers and four crematoria, about 275 meters (300 yds) apart at the north end of Camp II. The Sonderkommandos totaled 451, vastly outnumbering the SS—but the SS were much better armed. However, these well-fed rebels proved very formidable adversaries and quickly killed several dozen guards with axes and knives, shoved two of them alive into the ovens, then stripped them of their weapons and opened fire on all SS personnel responding to the commotion. Over 70 Nazis were killed. Then the Jews flung the gunpowder satchel into an oven and blew up Crematorium IV. About one dozen men escaped the camp but were recaptured. All remaining Sonderkommandos, whether they had a part to play in the revolt or not, were executed. Bialystok is the largest city in northeastern Poland, not far from the Belarusian border, and the ghetto contained about 50,000 Jews from late July 1941 until the final liquidation and their deportations to concentration and death camps. When taking over the city one month earlier, the Nazis locked close to 1,000 Jews in the Great Synagogue and burned it down. Himmler visited two days later and gave his approval of the SS actions. The 50,000 ghetto Jews lived in cramped squalor, as was the case in all the ghettos. Every few weeks, a detachment of several thousand Nazis entered the ghetto to round up thousands of Jews to be sent to their deaths. Rumors could not help but be spread, and by the time rail cars reached their destinations, the passengers were screaming in terror and banging on the walls to try to escape. By August 1943, the Jews of the Anti-Fascist Military Organization had worked up the courage to fight back, though they were only equipped with a single MG 34 machine gun and a single belt of 500 rounds of ammunition, 100 pistols, most of them Walther police pistols, and 25 Mauser rifles. They supplemented this meager arsenal with Molotov cocktails of gasoline, diesel, and kerosene, and about 100 glass bottles of hydrochloric, sulfuric, and nitric acids. They had set up command bunkers in the sewers and Moskowicz and Tenenbaum emptied their pistols at the surrounding SS until they turned their final bullets on themselves. The remaining 10,000 Jews in the ghetto were immediately shipped to Majdanek, Treblinka, and Auschwitz. Some 1,200 children eventually arrived at Auschwitz for the gas chambers or Josef Mengele’s experiments. This should not be confused with the Warsaw Uprising, which was a city-wide battle between the Nazis and the Polish Home Army. 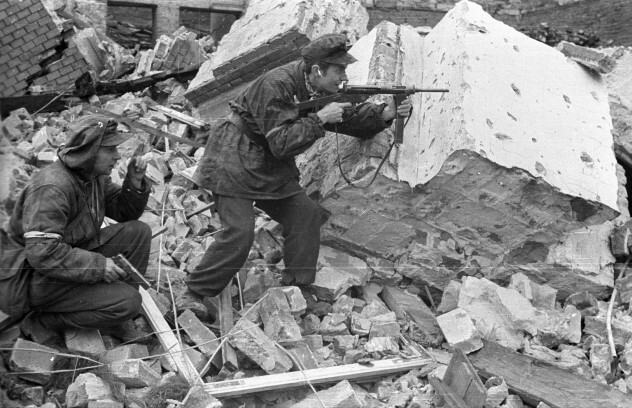 The Warsaw Ghetto Uprising took place from April 19 to May 16, 1943, over a year before the Warsaw Uprising. The ghetto was established between October and November 1940, and from then until May 16, 1943, around 300,000 Jews were killed in various deportations, liquidations, and the final destruction. Life in the ghetto was deplorable. The Nazis allowed the Jews only 184 calories of food each per day, and they had to supplement this by stealing from outside the walls whenever possible. The Nazis entered the ghetto in January of 1943 for a deportation and shot 600 Jews dead more or less at random. Some of the women were dragged into the trucks and raped before being taken to trains that would ship them to their deaths. The Nazis withdrew with 5,000 fresh prisoners for the death camps and waited under order from Heinrich Himmler until the Passover Week in April before they reentered for another deportation. Himmler appears to have chosen this date purely for the sake of offending their religion. About 4,000 Nazis began house-to-house searches only to walk face-first into multiple ambushes. Firefights erupted all over the city and the Nazis found themselves surrounded on many streets and without initial tank support. They quickly retreated and regrouped with tanks, heavy machine guns, demolition, and flamethrowers, with which they initiated building-by-building assaults, murders, and arson. The Nazis claimed 17 of their own were killed, while they executed 13,000 Jewish civilians. The fighting only lasted for about 10 days, after which the Nazis, ordered by Hitler himself, utterly obliterated the entire ghetto. Almost every single building was razed to the ground, and 56,000 Jews were shipped to death camps. The few who survived the war claimed that they knew they had no hope of defeating the Nazis, and were simply hoping to die on their own terms. FlameHorse is a writer for Listverse.